I know I’m a bit behind here, but this past week, I watched Frozen for the first time. Let’s all just go ahead and chalk this up to me not having children of my own because if I did I’m sure I would have seen it when it hit theaters. Interestingly enough, I viewed this film a mere five days after seeing Mad Max: Fury Road. And while that may not seem very “interesting” on the surface, I promise if you stick with me it leads to some very important questions for storytellers, parents, film aficionados, and serious readers. In the years following the social progress made by the feminist movement in the US, the portrayal of women on page and screen has been a topic of discussion and criticism, especially within academia. More often than not, women are portrayed unrealistically, women’s bodies are exploited, women do not often appear in positions of power, the woman’s job is usually to be saved by the hero…etc…etc. I’m sure you’ve heard this all before. Now, I’m also sure, like me, you can probably quickly drop a short list of strong, memorable female characters – Sarah Connor from the Terminator franchise, The Bride from Tarantino’s Kill Bill films, Joss Wedon’s Buffy from Buffy the Vampire Slayer, Tiana from Disney’s The Princess & the Frog, and Merida from Pixar’s Brave. They certainly do exist, but in our Western society where feminine ideals are so insanely unattainable, I find myself asking, “Which characters are girls and young women really clinging to and identifying with?” because of what I see. Overwhelmingly, the role models young girls choose are the damsels in distress, princesses who typically have the body type of a super model and marry a handsome prince or, at very least, a daring, rogue who is built like a wedge and can get stuff done for them. Most girls in the US and other “Westernized” societies will face significant challenges as they grow to adulthood, and the narrative that tells them how life is “supposed to be” really doesn’t stack up that well against reality. The ideal woman presented by the media and advertising is no longer the stay-at-home mom or the career woman. It is an impossible-to-attain amalgamation of both. This “woman” has both a family and a career. She works overtime (with or without the support of a husband) and still finds time to care for her children, keep a clean and well decorated home, cook healthy meals, train at the gym, accrue a stylish wardrobe, sport perfect hair and makeup, and wake up fully rested with a smile on her face. The ideal woman is the woman who has it all. But no matter what your socio-economic lot in life, the universe really doesn’t work that way. This woman doesn’t exist. No woman has “it all” even if she is wealthy because she really isn’t doing all of these things herself. Conversely, the vast majority of women are simply struggling to survive, and I’m sure most of them would heartily agree that the first item they lose off of this “ideal” list is their smile. Other items can, do, and will follow. Then, when they are totally overwhelmed by these ideals and look to the narrative of life for comfort, they find that, contrary to what has been shown, no one is swooping in to save them. Actually, most women you meet have become strong because they are surviving life. They may not have it together, but the fact that they are on their feet while attempting to live up to Western society’s unattainable standard indicates they can endure. Life is a harsh teacher but usually gets the job done. Life has always been a harsh teacher. This is nothing new, and throughout human history, humans used stories to teach each other how to live. This teaching made the negotiation of life a little easier because it smoothed the harsh edge. When I say teach, I don’t mean lecturing or preaching to people. Rather, these stories showed people possibilities – how life could be and was even likely to be. Stories, even if they were made up and included fantastic creatures, characters, and obstacles, were these tiny excerpts of life, sometimes told symbolically, sometimes with the grit of realism. The familiarity with situations and characters that stories provided gave individuals who experienced challenging circumstances the feeling that they were not alone, that this was not the first time this situation had occurred, and that there was a way to negotiate a given problem with honor. Ancient people held many words, phrases, stories, and songs sacred with good reason. Words are powerful because they construct our reality, and stories do too. Human beings may like to think that we have advanced beyond this influence, but as our thoughts occur primarily in language, words still construct our reality in 2015 just like they did in X-year B.C. In that aspect, nothing has changed since we first began stringing our thoughts together as syllables and those syllables were comprehended by peers. Stories are still powerful and especially so today because, for the most part, people don’t realize how influenced by stories they are. So what does any of this have to do with writers, women, Frozen, and Mad Max: Fury Road? It has everything to do with it. 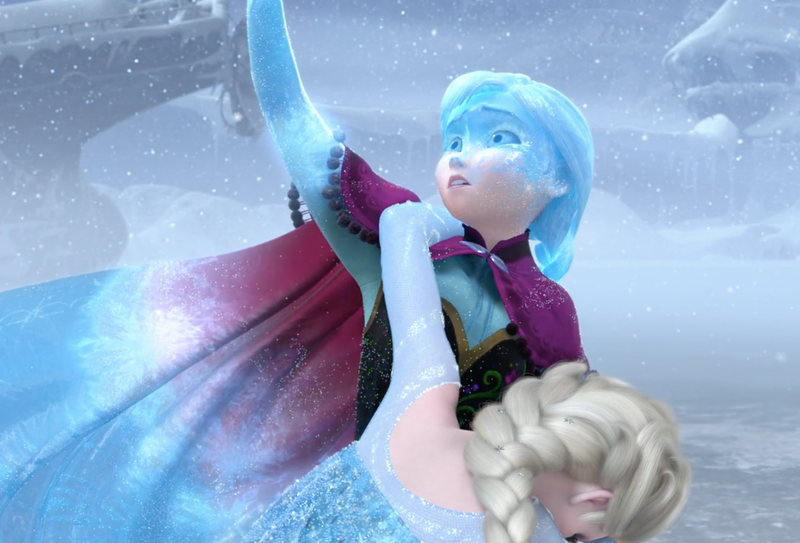 Why did more girls identify with Elsa than Anna? By not watching Frozen until a year and a half after it premiered, I have had the benefit of seeing how people have responded to it. For the record, I did enjoy the film (I didn’t particularly like the music, but that topic is for another day). 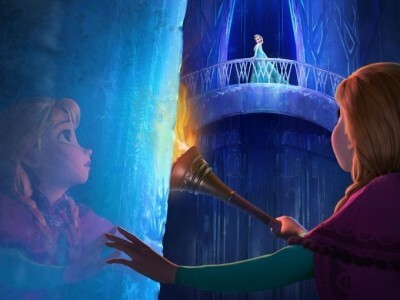 Frozen included a very strong (albeit a rather ditsy and quite immature) lead female character – Anna. Sure, Anna was a Disney princess who had unrealistic expectations about relationships (True love in what was really two-thirds of a day? Come on, Girl!). She was impulsive to a fault and far too trusting, but she was also extremely young. These flaws were exposed and addressed in the film, and such immaturity is forgivable and even valuable if girls are able to to see its consequences. Historically, this hasn’t been the case with Disney films, so this approach indicates progress. However, Anna was different in other ways from many female characters, especially the Disney princesses of years past. She was strong enough to dash out into an icy wasteland in attempt to find her sister and even sacrificed her own life to save Elsa. This sounds like really good material that shows girls they don’t have to be saved by a hero but can do it themselves. But here is my big problem with Frozen – After the last song was sung and the credits rolled, most of the little girls didn’t want be Anna. Overwhelmingly, they wanted to be Elsa – the (while I understand her circumstances that prompted it) girl who is ruled by fears and isn’t strong enough to face them without the help of someone else. Remember Halloween 2014? You saw a lot of Elsa’s, didn’t you? Unanimously, consulting multiple sources, you will find that during Halloween 2014 the Elsa costume sells were more popular than the Anna costume, sometimes on the tune of two to one. Disney and Pixar gave us a strong girl, a girl who saved herself, her sister, and her kingdom, but our little girls didn’t find her appealing enough to want to be her. What happened? Have we been fed the damsel in distress for so long that while we claim we want to see strong women, the truth is we really don’t? Or is it that our society doesn’t know what to do with strong women? Maybe many women don’t know how to be strong women so we just pass the notion by? Anna saves her sister, herself, and her kingdom. On a more basic level, perhaps this phenomenon was really spurned by the fact that Elsa’s dress was prettier than Anna’s, that she sang the song that was engineered to stick in people’s heads (thankfully, it didn’t have that effect on me), or that she could shoot snow and ice out of her fingertips. But even if those were the reasons, am I the only one that is bothered by the fact that girls continually identify with the character that needs to be saved? For characters to impact the audience, they have to be relatable. Why do our girls continue to identify with the character who can’t help herself even when the mighty girl is an option? Not only does Anna save her sister, she saves herself, and that is the kind of person all of us, female and male alike, should strive to be. By making role models of those who need to be saved, we’re falling short of our potential as women and becoming people who are far more easily controlled. A significant contributor to this mindset may be that it is what our narrative tells us we are supposed to be, time after time, century after century, and that is the fault of the storytellers. Call me an optimist if you will, but I do believe that the world can be a better place. People can be better, women can be better, and while we can’t change the world per se, we can change ourselves. So my first responsibility is to save me, your first is to save you, and if everyone begins to get to know themselves, find their strength, and master their “demons” (aka. flaws), the world really will change. But how are our girls supposed to do this if they are continually identifying as a person who needs someone else to save her? If their reasons really are that Elsa’s dress was prettier or that she has supernatural powers, I feel the storytellers failed on a very important level. Unfortunately, storytellers of all types (writers, filmmakers, stage producers) seem to have forgotten how powerful stories are and how much impact they can have. And while these artists may be careful to craft something that will sell, they have neglected their duties of teaching people how to live, especially girls. Absolutely, creating a relatable, strong, female character that girls will identify with is challenging, especially so when storytellers are pitted against years of indoctrination by narratives that told girls they needed to be saved. But just because the task is hard doesn’t really let us off the hook. The only thing that bothers me more than young girls identifying with the damsel in distress is girls identifying with characters that are falsely portrayed as strong women because the storyteller didn’t really seem to understand what a strong woman is. I have kept my opinions about The Hunger Games books and films rather quiet, except to my family and close friends, with good reason. Many of my friends love the stories, and I don’t really want to start a fight over something so trivial. I’ll admit the first book was a page-turner, and there was admirable effort put into making it such. However, Katniss Everdean is not a strong woman. Throughout the second and third installments of the series, she continually allows people to manipulate her, cannot make any sort of decision on her own, and is ruled by fear. The only truly independent choices she ever makes are when she volunteers as tribute in order to save her sister and resolves to eat the poisoned berries in the first book and when she finally decides whom to shoot at the very end of the last book. She is no different on the last page of the last book than she is on the first page of the first and, in the end, is still ruled by fear (as evidenced by the epilogue of Mockingjay). She has learned nothing and really has nothing to impart to those who experience her story. Sure, she can shoot a bow, she can hunt, and she has great survival instincts because she’s a hunter being hunted, but again, she cannot seem to save herself. She looks to Peeta, Gale, or Haymich to save her over and over. The stories still perpetrate a passive, dependent female nature. They teach girls that it’s good to learn to shoot a bow (True, I might add), but nothing of how to make decisions independently, confront fear, master anger, and protect oneself from manipulation and exploitation. Putting a bow in someone’s hand, making her a crack shot, and giving her intrigue that arrests the attention of others does not make that person a strong individual, let alone a strong woman. And in many ways, I find it insulting. Perhaps my reaction wouldn’t have been so extreme if the writer and publisher had ended the character’s story after the first book. 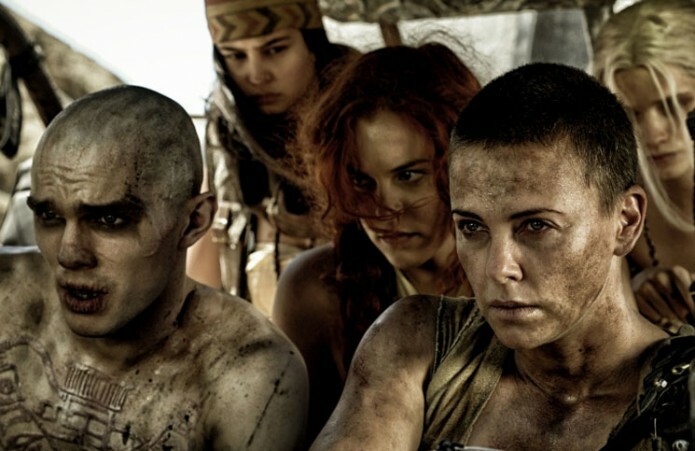 Furiosa earns respect – second by second. I realize that these ramblings have presented a dismal view of women in the literature both past and present, but I do have hope. Five days prior to viewing Frozen, I saw Mad Max: Fury Road. Now, I’m not suggesting you all take your 10-year-old daughters, nieces, or sisters to see Mad Max. They’re not ready yet, but by the time they’re teenagers, they will be. Fury Road excels as a film on many different levels – action, effects, editing, makeup, costuming, sound, story, and character development. Not to mention it was shot sequentially with few CG effects (mind blowing…considering how the film looks). This film is a masterpiece. But I want to talk about a woman – the character Furiosa. Furiosa, brought to life by the incredibly talented Charlize Theron, is quite possibly the strongest female character I have been introduced to on screen to date. Furiosa is not strong because she is pissed off at men. She’s not strong because she has something to prove. She’s strong because she has to be. In the world she inhabits, Furiosa must rise to the occasion in order to survive, and that is exactly what she does, and she is a true hero because she brings others with her as she rises. She is the epitome of feminist ideology in its very best form. She is confident, caring, selfless, ruthless, and brilliantly intelligent. Though she is careful and continually on guard, she doesn’t refuse help from men. She accepts it when it’s needed from both Max and Nux, and she earns respect by the choices she makes from second to second. Women and men trust her because she is continually proving herself to be up to task, and she does all of this without having to fight for respect. She simply does it, without pomp, circumstance, or hoorahs. If you are a woman who hasn’t seen this film, go, and when the girls in your life are old enough, show it to them. Everyone trusts her because she is up to task. Now, Furiosa is a badass woman, and I like that. That said, there are many ways to be strong. There are many extremely strong women who aren’t driving war rigs that weigh metric tons or beating up those who hurt and exploit others. Strong women occur in all walks of life – mothers, housekeepers, career women, teachers, rescue and humanitarian workers, medical providers… the list goes on and on, and while I appreciate the truly well-rounded badass woman, I would like to see more strong women across the board. Anna was one that is appropriate for a young audience. It’s too bad that she was overshadowed by the damsel in distress. Tiana and Merida are others – suitable for young girls. From literature, Pipi Longstocking and Ramona Quimby also come to mind. Cecilia from The Night Circus is good for teenagers and young adults, as is Katsa from Graceling. Not only do our girls need to see badass women, they need to see women being strong in other situations too so they have better examples for the many avenues down which life can take them, and it is up to the storytellers to give them that narrative with appealing characters. I’m not advocating elimination of the damsel in distress. Sometimes, humans (women and men alike) need others to help them make it through life, and I think it’s important to see that in moments of weakness there are times you can and should turn to others for help. But can we at very least have a 50/50 split when it comes to characterization of women in our narratives? And can we please move away from the damsel in distress being the most popular character for young girls to identify with and emulate? Come on, writers, filmmakers, publishers, and producers. It’s really up to us to make those strong women appealing enough that they outshine the damsel in distress. Do you wanna build a lovely day?! Let’s not just write stories for money. There is nothing wrong with getting paid, but let’s embrace our real responsibility and create some stories that truly make a difference in lives both young and old. And readers and film fans, let me know your favorite strong female characters – the ones that master their own fears and save themselves rather than waiting on others to do it for them. I know there are characters other than those I’ve mentioned here that meet these standards. Unfortunately, they haven’t been getting as much face time with the general public. Let’s talk them up, and get them noticed. Let’s tell their stories. Our girls need to meet them.